Lol, I've seen a similar picture. 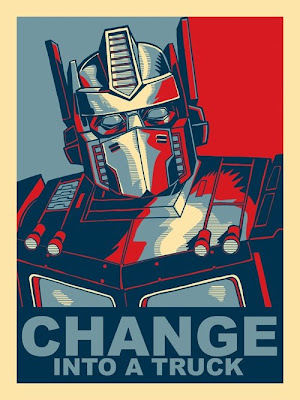 Except instead of Optimus Prime, it's Kamen Rider Decade, and instead of "Change into a truck." It just says, "Henshin." Can I get that on a t-shirt? ?